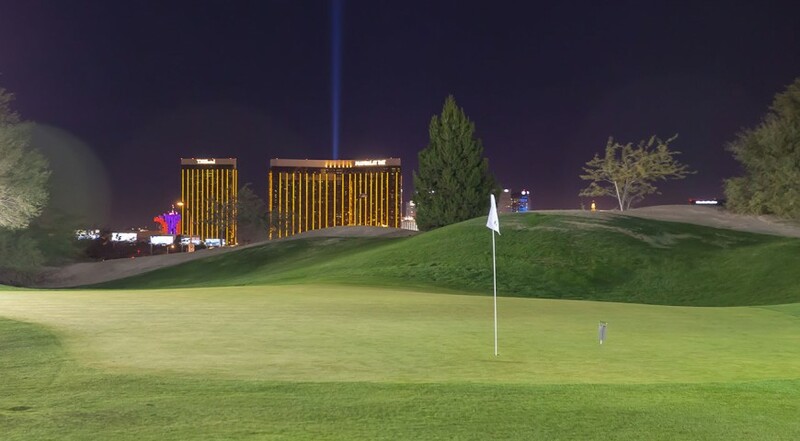 The Las Vegas Golf Center is the #1 Golf Destination in Las Vegas and is located on the magnificent Las Vegas Strip just minutes from the megaresorts that make Las Vegas famous. 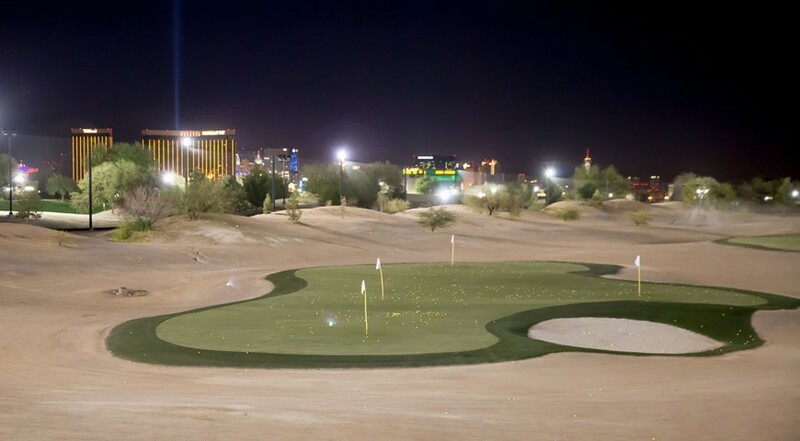 The Las Vegas Golf Center is one of the most popular golf facilities in Las Vegas. The LVGC is a 42-acre Vegas golf mecca and features a lighted par 3 course and a 113-stall two-tier driving range with both synthetic and natural turf hitting areas. In addition, there is a putting and short game areas plus an expansive retail shop. All major brands are available at Las Vegas Golf Center. 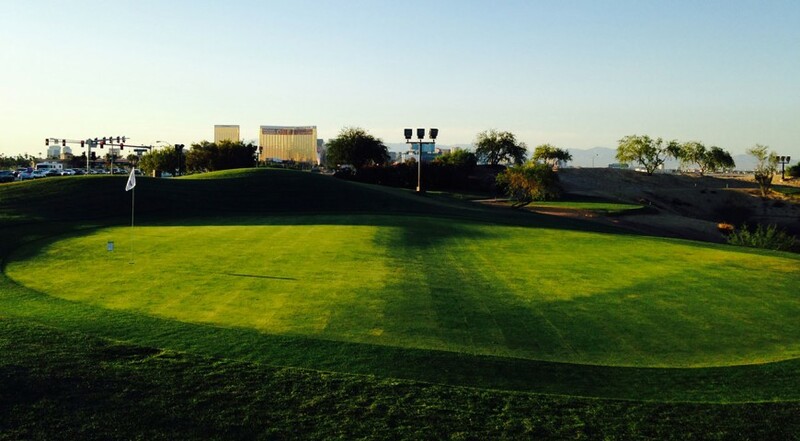 Click to Visit Las Vegas Golf Center, and Book a Tee Time! On staff are Certified Master Club Fitting professionals who utilize state-of-the-art swing technology to maximize a golfer’s performance by ensuring they are properly fit with the proper set of golf clubs. The Flight Deck Bar and Grill features some of the best views of the Las Vegas Strip in addition to specialty food including some of the best hamburgers in Las Vegas. The Eric Meeks School of Golf is also available for top-level instruction. Meeks was the 1988 U.S. Amateur champion. Special events, corporate groups, bachelor parties are always welcome at Las Vegas Golf Center. 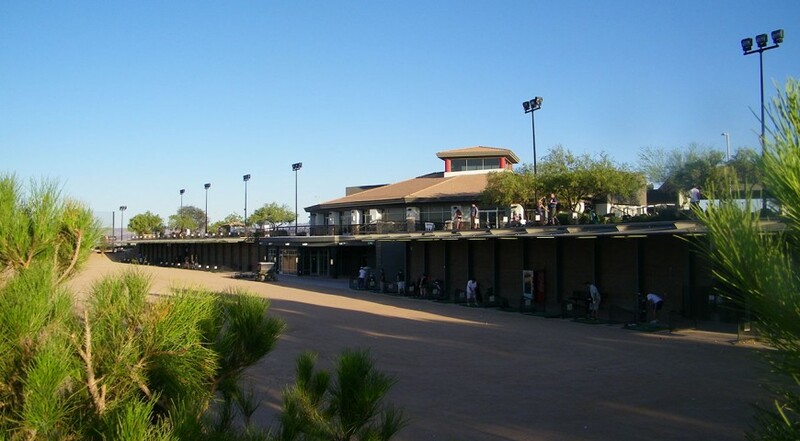 – 2014, 2015, 2016 Top 50 stand-alone driving range in America as voted by Golf Range Association of America. – Multiple honoree by VegasGolfer Magazine as best practice facility in Las Vegas. – “Love this place; a must-go when in Vegas.” — LPGA Tour Superstar Natalie Gulbis via Twitter. – “I really don’t think there is any other place like this in the world. You have the magnificent views of the Mandalay Bay Resort and the whole Las Vegas Strip as a backdrop while you play or practice. This place is cool; it has everything.” – Golf Life TV. – “Just got fit into my TaylorMade Golf SLDR driver at (Las Vegas Golf Center) in Vegas!” – Major League Baseball Star Bryce Harper, via Twitter.